Is a performing artist, writer and a teacher, an immigrant from Croatia who settled in Houston, the city she happily calls her home since 1990. As an internationally acclaimed musician, entertainer and teacher, she finds inspiration in the multi-cultural environment of her hometown, Houston. She started her career as a teenage rock star in Croatia, where, aside from actively performing as a classical pianist, she was also known as her country’s first female rock electronic keyboard player. Houston Public Radio compares the style of her compositions to Eric Satie, and Houston Press notes how she “moves from classical to pop milieus as fluidly as her fingers dance around the ivories”. Loreta calls her style “Slavic & Western” and she calls herself and her band, the “Texas Slavs”. She loves performing with her husband Joe Parani, who plays on his home made theremin, accompanying Loreta’s songs with the passion of a one of a kind space flight trainer from NASA. Their original children’s album, “Brother Tadpole classics” has been nominated for a Grammy in 2011. Many songs from this and her other albums (“Space Wiggs”, “Cantabile”. “Slavic & Western”) were written for the Alchemist Piano Theatre one act plays. Loreta Kovacic holds a Doctorate Degree in Music from Rice University. She performs at a wide range of venues including Carnegie Hall, Museum of Fine Arts Houston and Contemporary Arts Museum Houston, Discovery Green, Orange Show and Mucky Duck in Houston. In Croatia she preforms live for radio and TV on shows such as “Good morning Croatia”, etc. The music from her many CD’s has been played on the International Space Station. Loreta often performs her original plays with music and produces them at Alchemist Piano Theatre in Houston. Her musical plays have been commissioned by CAMH, Mardi Gras Museum in New Orleans and Discovery Green in Houston. These comedy one-act plays are influenced by Theatre of the Absurd. They are educational, interactive, relatively easy and cheap to produce and fun for both actors and the audience. Loreta’s stories are mostly about Saving the Earth, the Universe (“Space Wiggs”), the Ocean (“Help save el Oceano”), the Holidays (“Isla Mujeres holiday”), our Souls, etc. Characters are funny and use plenty of physical comedy. Most of Loreta’s plays are intended for young audiences, but can be enjoyed by parents simultaneously. Loreta’s plays are written for Middle School or older actors. They were intended for a bilingual community (English and Spanish speaking people), but are not limited to it. Both actors and the audience can benefit from learning a few phrases in Spanish. Stories were inspired by scientific exploration of NASA and by many trips to Mexico, the country that Loreta calls her “spiritual motherland”. Dr. Loreta Kovacic now teaches middle school music and theater in a bilingual Title 1 school. She continues writing new plays with music for her bilingual students, often adding a few Spanish-speaking roles in her plays. Ms. K loves comedy and her plays have been labeled as “Absurdist comedies” or “Theatre of the Absurd for children”. She is also a freelance writer for Houstonia magazine, Croatia Week, Glasstire, RedPub and Alchemist Piano Theatre Travelog. This 30 min. COMEDY one act play with MUSIC was written for Middle School (or older) theater team to perform for a young audience (Elementary up to 3rd grade). Original music is published on YouTube and it was composed originally for APT (the Alchemist Piano Theatre) in Houston. There are 10+ roles: two F, one M and 7+ Unisex. For 10 - 30 actors. One Middle School class of 10 to 30 students can all become citizens of tropical “Morajo land”. This play includes 4 original songs. Set is minimal; it is set on a tropical island. Three main images are: tropical beach, Science Lab, and Watermelon Contest. STORY is about our two famous Cyclops Scientists on the imaginary island of “Morajo” who discover an antidote to an ocean pollutant, which is produced by the two Evil Jellyfish. This show celebrates SCIENCE and discovery. It can be considered BILINGUAL: written in English with a few words and short phrases in Spanish, because most citizens of Morajo are bilingual. They refer to their Mexican culture, and they all learn to dance the famous “Cyclops Dance.” Actors do not have to speak Spanish. All actors can easily learn a few short phrases and words in Spanish. This show is INTERACTIVE. It invites audience to participate in dance and movement. This show was first performed at Discovery Green, later at Esperanza School (2015) and the latest performance was at Janowski Elementary in Houston on May 18th, 2018. Loreta wrote and published all songs on YouTube. This 40 min. one act comedy with music is written for Middle School or High School actors to perform for young audience. This NASA inspired play celebrates scientific discovery and space exploration. Original music (9 songs) for the play has all been published on YouTube. This comedy is educational, fun and interactive, it invites the audience to participate in movement songs. There are 6 acting roles plus a chorus: 3 Female and 3 Unisex. Role of Narrator is bilingual, he speaks both Spanish and English: but any actor, including those who do not speak any Spanish, can learn a few short phrases in Spanish. Chorus includes all actors and crew plus as many as 10 more extras: space bunnies/conference people, aliens and astronauts. 6 Crew Members include: Sound Tech, Light Tech, Director, Stage manager, Props manager, Costume manager. This play is about the “Space Wiggs”, the secret society of three small town children and two quirky parents who end up traveling to a Space Conference in Houston. They meet a famous NASA scientists BT who is in charge of Hubble and James Webb Telescopes. At the Space Conference they all become a part of historic secret event during which they help negotiate intergalactic peace. As a result, Space Wiggs receive NASA’s badge of honor. BT uses an unusual musical instrument for his “Cosmophonic Communication”, the Theremin. Theremin can be substituted with small Electronic Keyboard or any other folk instrument in a smaller budget production. Theremin always draws a crowd of both children and adults who are curious about its unusual sound production and anxious to try it themselves after show. 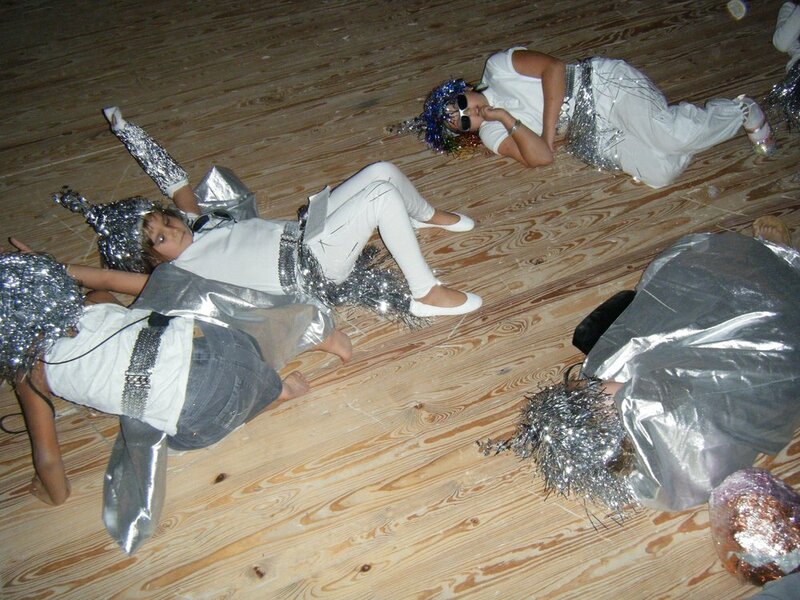 First “Space Wigg” play was commissioned and produced at CAMH in Houston in 2009. Joe Parani was BT, the Cosmophonic scientist from NASA. 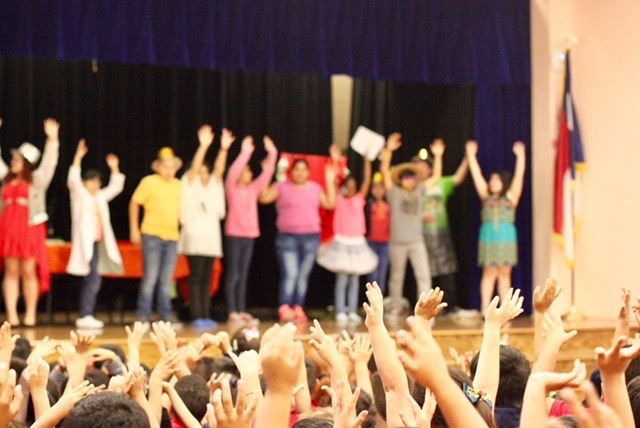 It was followed by three more plays that were produced at Discovery Green and later at Esperanza School in Houston in 2014. All 11 original songs were recorded at SugarHill studio in Houston with engineer Andy Bradley, a Space Wigg himself. The latest productions of “Space Wiggs” is May 21st 2019 at Discovery Green. Performed by Burbank MS Theatre for Young Audience at Toddler Tuesday. Special thanks to a very special NASA scientist who played his own home-made Theremin in recordings and also gave informative and funny short history of Space Exploration in his “Astronaut Talk”. He is the well-known space flight trainer from Jersey, Joe Parani. Both kids and parents enjoy his NASA educational talk in shows. Theremin produces cool spacy sounds that make up the atmosphere in most of the songs in this play. Thanks to Joe Parani, some of the Space Wigg music has been played on the International Space Station while in orbit. This 40 minute Holiday comedy with music is educational especially about Mexican culture, but also entertaining, funny and interactive at the same time. Any actor can learn a few phrases in Spanish. It is well suited for a bilingual community, but it can be enjoyed in any community during Christmas season. 7 songs are originally composed for this play and all songs are available on YouTube. “Calypso Date”, “Christmas now” and “Ho ho ho ho” were published for Alchemist Piano Theatre on Loreta Kovacic’s Grammy nominated album “Brother Tadpole classics”. Set is simple and can be very minimal. Budget for this play is very affordable if parents and students help with props and costumes. There are 5 main acting roles: 2F, 2M and 1U, with as many as 20 more Choir members added to the team. Tech team is also a part of Choir. There are 6 main Tech roles: Sound Tech, Light tech, Director, Stage manager-Assistant director, Costume manager and Makeup manager. The story follows two Middle School sisters from the stage auditions in their school to a fantastic Christmas holiday with their Abuelita in Isla Mujeres, Mexico. Ix-Chel, the older sister finds her voice with a bad social media bully, and Iris, the musically talented younger sister finds her voice in music, literally. Iris’s talent helps them make the trip to their funny Abuelita who shows them many culturally significant and important elements of Christmas: from Our Lady of Guadalupe to the powerful Mayan goddess, Ix-Chel, all helping them recognize their “girl power”. Abuelita and their cousin Grinchero also introduce them “pura vida” in Isla Mujeres. The two sisters learn the new meaning of Christmas: be thankful for what you have and no dwelling on the negative. It’s all good. Chill out. Feliz Navidad! This Holiday comedy with music was written originally for the Alchemist Piano Theatre. Loreta Kovacic was commissioned to write it and produce it in 2009 by CAMH in Houston. It was later adopted for a bilingual public school and performed as a Holiday One-act comedy with the “Grinch theme”. Actors for this play can be Middle school or older. It is intended for young audiences, but it was well received by general pubic, including parents during its 2017 production during a Public School Holiday performance in December. CHOIR: All actors, the crew, plus more citizens (up to 20 more). CREW: Sound tech, light tech, assistant director, makeup artist, costumes manager, props manager, and 4 Stage crew (chosen from actors/choir). All actors need to learn a few words in Spanish. 2 Cyclops scientists: funny, loud, quirky, good story tellers, bilingual. 2 Evil Jellyfish: good singers and actors. Choir Leader: loud and animated-connection to the Audience. Lab Man: nerdy, in love with the Idea Girl. Idea girl: smart and funny. Physical comedy. First Lady of Morajo: calm, loud and poised. Narrator(s): Loud, funny, great speaker. Can read from the script. Cyclops Walking Prop: funny, physical comedy, big kid or an adult, interactive. No lines. Lyrics change: say “MORAJO LAND” instead of “BALVARIA”. After this CHOIR makes a larger circle and SITS down on the floor. Front Stage Left are the narrators and the First Lady of Morajo on a stationary microphone. Choir of Morajan citizens are sitting in a big circle in the middle of the stage floor. This is a “show within a show.” Singer can sing a song from a famous musical such as “Part of Your World” from “Little Mermaid” or any other Broadway song. CHOIR LEADERS and CHOIR applaud at the end of this performance. Singer bows. CHOIR LEADERS and CHOIR APPLOUD. Yell: Bravo! Etc. CHOIR stand up. Two Scientists, Lab Man and Idea Girl go to front. NARRATOR 1: “Everyone else here, all the good citizens of Morajo and all of you here right now need to help our science team. Can you HELP SAVE THE OCEAN? You ask how? Well... In Morajo, we believe in the power of SOUND MEDITATION. MEDITACION SONORA. It is very similar to what many of you know as prayer….So all of you here, let’s use our Sound Meditation to help our science team right now! It goes like this: AA EE II OO UUU!” (Show movements with arms 4 times) “Follow me!” Narrator teaches the Choir and the audience 5 arm movements. CHOIR LEADERS go to the front row of the audience with arm movement: making letter shapes as you sing A E I O U. CHOIR and AUDIENCE (all) join in the song and movement. DRUMS announce discovery. Cyclops drum on the table. CYCLOPS WALKING PROP comes up front to the table. CHOIR is SITTING in a circle. Crew changes Science Lab table to WATERMELON CONTEST table with props and poster. AMPHYBIAN JELLYFISH 1 and 2: enter dancing in a chaotic, jelly way: act- sing –dance. They walk into the audience after the first verse. CHOIR LEADERS count 123 CHOIR evil laughs. CHOIR sits and stands around the table. CHOIR stand up and free dance to the song. Fade out. CYCLOPS WALKING PROP dances to front then goes dancing into the audience. Two jellies and two Cyclops dance to the music as partners on center stage. Dance-act. Evil jellyfish now dance while dramatically taking off their black clothes, glasses, and hats. They have white (or regular) clothes underneath, so that now they become completely white (or regular). Choir is learning the movements with the Narrator. CHOIR LEADERS ask audience to stand up and learn. 1 Hands crisscross, rock front and back. 6 Free style: dance your own style (the crowd favorite!). CHOIR and the AUDIENCE all dance. CYCLOPS WALKING PROP comes up front to dance then goes into the audience. CHOIR LEADERS join the audience front row. Audience sits down. All FREEZE with HANDS UP until the end when they bow together and put hands down. Idea Girl, Lab Man, Narrator and First Lady all move to center front stage. FIRST LADY OF MORAJO: “AYUDANOS A SALVAR EL OCEANO POR FAVOR.” 123: all unfreeze and BOW TOGETHER. 1. BIG TABLE folding table used for Lab, Contest, and as a DRUM. 2. POSTER double sided: one side is for the SCIENCE LAB, and the other side is for the WATERMELON CONTEST. Second act watermelon contest props: garlic, watermelon, plates, napkins, big tray. 4. ISLAND PROPS: palm tree, any trees, beach chairs, beach balls etc. 5. CYCLOPS WALKING PROP for adult or big kid made by students. 6. COSTUME BOX: 4 lab coats for 2 Cyclops, lab man, and idea girl. and tie die T-shirts with beach glasses and hats. USB with all songs for the SOUND TECH: transferred from YouTube. 1 Stationary mike center stage for Narrators and the First Lady of Morajo. Choir Leaders do not use mikes: they speak in loud voices. Kitchen table is in the middle, with a computer, surrounded with 2 or more chairs. Alice and her father are in their Alpine Texas kitchen, and the old Selena song is playing on the radio. Alice’s father is slouching on a kitchen chair after a major car accident. Alice was in the car but was uninjured, magically. Alice’s sister Bella is sitting on the side, in her own world with melodica or toy piano writing her own music and singing along with Salena. Alice joins her in the song. This is a musical show within a show. One sister can sing along with Selena while the other also dances. NARRATOR: “In a small sleepy town in Texas one family is doing OK. It’s a single mom with two daughters living on the edge of town. Mom is so proud of her two daughters, Alice and Bella. They got their singing talent from their Pappa, not from their Ama. BELLA: “Ok ok, guys, thank you thank you…(she bows and picks up her sheet music) I will have to get back to writing my opera…this is a new assignment in my composition class at ASU.” She sits on the side and gets into her writing deeply. ALICE: “Yeah, yeah, mom…” (She is not interested, looking at her phone). Alice is a Texas girl, wears cool boots, and yes, she loves sparkly accessories like rhinestones. She is addicted to Cheetos and anything Space Science. Everything was fine except for one thing. Alice has never been anywhere outside Texas. Alice really wanted to go to Europe, so she begs and begs, but her dad is not convinced. BELLA sits at the table, while MOM is trying to exercise and walk with crutches. NARRATOR : “Mom pretends that she heard something like Paris Texas, not Paris France. She tells Alice about the great theater and gelato in Paris Texas. She tries to convince Alice that Paris Texas is better than even London England! In reality, Mom is just too busy working two jobs and taking care of the family.” Mom goes to make tea at the stove or microwave. MOM: “You know I would love to go, but I need to finish that job I started… How about you dear Bella child? NARRATOR: (making a physical sign towards Bella, like she is “cray-cray”): “ Mom tells Alice that they simply do not have the kind of money that they would need to pay for those crazy air fares. They can go to Padre Island ten times for the same price as one of those crazy European trips…” Mom acts this out while Narrator is talking. NARRATOR: “Mom tells Alice to go to her room and finish her homework or work on that “secret” Space Wigg stuff…She promises that very soon we will take a trip to Houston.” Mom acts this out while narrator is talking. Bella and Mom sing and Alice joins them. Mom dances with crutches. Funny. There’s no trouble in Texas, only yellow……(repeat) gee I hope you’ll be there soon. Dim the lights after the chorus. Actors leave. During this song, while actors are dancing in the front of stage, crew is in the background changing scene to Alice’s Room. Bed is in the corner, can be a mattress on the floor. There is a computer, several large moon rocks, Tesla poster in the center and Altar shelf with some candles on it. Alice is in her room where she is making an art project, the home-made moon rocks from newspaper, cellophane, and aluminum foil. She was always busy doing artwork since early age. Her friend Claire, a serious and somewhat sad looking girl walks in. CLAIRE is staring at her phone. CLAIRE: “Ok ok…Let’s make some moon rocks, Alice.” They sit next to the big moon rocks while they make moon rocks (they add shiny paper to real rocks) and make sounds during the song. Alice sings along with the song. She sings to her ‘boyfriend” Tesla, the poster. ALICE: “Yes but you have to use your arms. Make shapes of these letters above your head. Like this.” She shows it. A E I O U. Claire follows. 4 AEIOU by Loreta Kovacic, YouTube. Ruby walks in with a cool looking backpack. CLAIRE: “Yeah you are one of us Bella. No, I am still a bottle of tears...” Bella hugs her. CLAIRE: “Yeah, I carry my mom’s picture in my purse…and my stuffed animal too… She loved pan dulce and coffee. Alice can you go see if you have some in your kitchen.” Alice comes back with the goods. CLAIRE: “Some candles would be nice too? Alice do you have candles?” Alice looks around her room and finds some. Three friends work together at the altar, decorating it with all they have gathered. 5 SPACE WIGGS by Loreta Kovacic, YouTube. Song with movement for all Space Wiggs actors and crew. All come on stage to join. and we like, we like the space stuff. Welcome to our moon rocks universe. ALICE: “Yeah, I know that the name Hubble came from an astrophysicist who discovered that universe expands…Astrophysicists are out there, because their thoughts are expansive like the universe. Uuu.. Here in Alpine TX, we love to watch the stars…Sometimes they are so close…” They move to the front and form a triangle. ALICE: “Ha! Mr. Google told me all about Hubble the great telescope and now the new bigger and better one is coming…Look here!” She shows her stuff on her phone during song. 6 HUBBLE by Loreta Kovacic, YouTube. Alice sings along with the song. Bella and Claire join in on the chorus. Space Bunnies hop and move elegantly, in dance-like manner and they introduce themselves in a funny high pitch voices. NARRATOR : “These amazing creatures that call themselves space bunnies came from Balvaria via Houston. Their antennae picked up some high pitch communication sounds… They came to help.” Space bunnies jump randomly communicating in high pitch sounds. ALICE: Very excited. “This is my dream come true. We are traveling!!!! The best day of my life! She runs around in an unpredictable manner. CLAIRE: “Me?” Touching her real hair. Confused. Bella and dad come in confused. ALICE: “We are going to Houston Space Conference. Here put on these Space Wigg robes right now. She puts robes on them. Claire, let’s take our moon rocks.” She starts packing them into Claire’s and Ruby’s backpacks. BELLA: “Are we all gonna be safe then?” Mom gives them a sign of her approval then exits. They get ready for the trip during song and then jump away on a “space trampoline”. Featuring a booth in front stage next to each other: one is NASA’s “cosmpophonic communication” with cosmophonic astrobiologist BROTHER TADPOLE, who plays his Theremin cosmophone, and is in charge of the NASA’s Hubble and James Webb telescopes. SPACE WIGGS are also there with their moon rocks. Some Space Bunnies are now Conference participants wearing regular clothes (the same clothes but no bunny ears) walking around. Alice and her sister go to BT who is playing her space music on a small synthesizer or on a Theremin. She tries to sing along with his space sounds. During this story, everyone except Dr. John who is working on his computer, sits down on the floor to listen. Space Wiggs pretend that they are floating in orbit with their body movement. Then they lay down to look up at the stars with their home-made telescopes. After this they go into the audience with big beach ball planets to play with the audience. BT does a bit of his best robot dance. 1926 American Robert Goddard flies the first successful liquid fueled rockets. Etc. BT: “Excuse me guys…I will continue playing my cosmophone. Sending the message out there again.” He/she plays. BT: “Yes. This is the prototype of James Webb telescope we are working on at NASA. BT: “Listen!!! Our telescope recorded a sound message from the aliens. I don’t understand…what are they saying? Let’s listen.” All listen intently. The alien (or two aliens) sneak in to the last row in the Audience. Alien(s) make high pitch sounds and speak in Alien Language so that the kids have to hear them and see them. Aliens have to improvise this meeting with the audience. After the song is over, Alien(s) leave. 9 ALIENS by Loreta Kovacic, YouTube. Give us our picture back. Give us our picture back…. ALICE: “Space Wiggs, c’mon, Let’s do our chant. For peace and extraterrestrial communication: A E I O Uuu now you! Alice and Space Bunny get the audience to join them: A E I O Uuu. Everyone looks into the audience for the two aliens. They are hiding in the last row. ALICE: “We have a message for the two Aliens. We want to preserve intergalactic peace. We have to do our best to preserve intergalactic peace. Always.” They play this from their computer. Song with movement. Space Wiggs go up front. Hello Houston, we have - a problem. Right Hand with phone to the ear with opposite leg front, then same starting with LH. Touch head with both hands move head R-L with legs doing the same. We have to do our best to preserve intergalactic - peace. Hands in praying position from the belly to above head in shaking rhythm. Make a large circle with two hands showing peace sign while legs are still. BT: “Good bye Aliens, it was nice to see you! I will play you a goodbye melody.” She plays her Theremin goodbye sounds and sings the word “good-bye”. SPACE BUNNY: “Psssst. It remains our little secret. Psssst.” They ask audience to make psssst sounds. BT: “I sure like conferences…especially Space Conferences. I haven’t danced in so long.” BT demonstrates her robot dance again. BT: “Of course, I would love to. And I would also like to use this opportunity to thank you for what you have done for us here and for or planet today. This is why I present you with this NASA badge of honor.” Hands them badges, then joins in the song with movement. SPACE BUNNY teaches the young audience: “I would like to invite the audience to join in the Space Wigg ceremony (movement song as follows for young audience only): Space bunny teaches them the movement for the song. 11 SPACE WIGGS all actors and audience sing and dance with movement. or Option 2: actors go inside the audience during song. Then they come back at the end to bow. Space wiggs, we are the Space wiggs, and we like, we like the space stuff, etc. SPACE BUNNY: “Thank you Space Wiggs! 123”: All bow together at the end. 1 Sound: able to play the chosen songs at the appropriate time, very responsible student. 2 Lights: has to have experience or an older student. 3 Stage manager: manages all crew and actors. Organizer, true manager. 4 Props: good at designing, making and arranging stage props. 5 Costumes: good at sketching and making costumes as well as dressing actors in shows. 6 Makeup/hair: good at makeup design and application, preferably an older student. 1 Alice, HS freshmen, F: optimist, extrovert, funny, loves science, NASA, adventurer, likes Tesla, the famous dead scientist. 2 Claire, F: Alice’s best friend, still sad about losing her mom, introvert, loves science. 3 Bella, F Alice’s older sister, about 23, F: unique, tall, singer and composer, loves astrophysics and NASA, College student. 4 Mom, Unisex: funny, single mom from Texas. It can be played by a boy for comedy. Can double as an astronaut or alien in second act. 5 Narrator, Unisex: speaks with a loud and exciting voice. Easy to follow for all. Can double as BT in the second act. Narrator can double as a BT in Second Act. 6 Space Bunny, Unisex: Choir leader, loud, dancer, people person. Space Bunny doubles as Conference folk in the Second Act. 1 + Extra: alien, Director-teacher can double as an alien. Astronaut: Doubles as Mom in the First Act. More Extra aliens, and space bunnies can be extra actors, or crew or volunteer parents or teachers. Aliens and Space bunnies produce alien sounds or make up and speak their own language. Extra Space bunnies double as conference people in Second Act. 3 Minimum crew: 1 sound tech, 1 light tech, Stage Manager. MAY 23rd 2019 at BURBANK MS Thursd. After school 5:30-6:30 pm and 7th and 9th periods during school day. MAY 28Th at JANOWSKI ELEMENTARY Tues. During school: 3rd and 4th period. This 40 min. one act comedy with music is written for Middle School or High School actors to perform for young audiences. This NASA inspired play celebrates scientific discovery and space exploration. Original music (9 songs) for the play have all been published on YouTube. This comedy is educational, fun and interactive, it invites the audience to participate in movement songs. There are 6 acting roles plus extras and a chorus: 3 Female and 3 Unisex. Role of Narrator is bilingual, he/she speaks both Spanish and English: but any actor, including those who do not speak any Spanish, can learn a few short phrases in Spanish. This play is about the “Space Wiggs”, the secret society of small-town teenagers who end up traveling to a Space Conference in Houston. They meet a famous NASA scientist BT. At the Space Conference they all become a part of historic secret event during which they help negotiate intergalactic peace. As a result, Space Wiggs receive NASA’s badge of honor. BT uses an unusual musical instrument for his “Cosmophonic communication”, the Theremin. This unusual instrument always draws a crowd of both children and adults who are curious about its unusual sound production and anxious to try it themselves after the show. 2F, 2M and 1U: IxChel (F), Iris (F), Santa/Abuela (M), Grinch/Grinchero (M), Choir Leader(U), Choir and/or Aztec dancers (up to 20 more actors). Ixchel, F: older sister, actress, more mature, starting to recognize who she really is and how to assert herself in the world. Iris, F: younger sister, a little immature, playful, talented singer, a little shy, funny. Choir leader, U: singer, leader, narrator, loud voice, connects with the audience, animator. Santa/Abuelita, M: Santa in Act One: Grinch’s best friend, funny, has two voices. He is a funny actor, Santa auditioning for a role. He becomes Abuela in Act Two: the funny Mexican grandmother who speaks in softer voice. Speaks a little Spanish. Bilingual. She is a great chef and a spiritual person who teaches them about their Mexican culture. Grinch/Grinchero M: In Act One Grinch is auditioning for a role. He is a comedian who has two voices: his “Grinch “ voice and his normal voice. In Act Two: Grinchero, the cousin Jesus in Isla Mujeres. Speaks a little in Spanish. Bilingual. 3 Mi burrito sabanero, Mexican Christmas Song. Interpreted by Loreta Kovacic. 9 Aztec Dance, traditional Mexican folkloric dance. This is an idea for one. This show has seven songs originally written for AlchemistPianoTheatre by Loreta Kovacic. “Mi Burrito Sabanero” is a popular Mexican Christmas song and “Aztec dance” is significant part of Mexican folkloric tradition. Stage is half-way set up for a Christmas play. Christmas scene backdrop could be there. Christmas tree with a few presents is in the back stage Left, the Choir is Mid Stage Right, sitting around the “Christmas table”. They are practicing for Christmas play auditions. IxChel and Iris are practicing their monologues and songs at the table. Some choir members are decorating a tree, and some are working on Grinch and Santa’s costuming and makeup. Santa and Grinch are best friends, class clowns. They love to hoarse around and entertain their classmates. They create a little physical comedy act here, very much overacting and overplaying their roles. When Santa starts talking, Choir goes into a quiet, sleepy mode. They “wake up” from this mode a few times during singing auditions. SANTA: Ho ho ho ho, I am gonna catch you amigo! Ho ho ho ho, Santa dear! Ho ho ho ho, Santa dear! It’s so good to see you here, you come to me every year, oh Santa! Ho ho ho ho, Ho ho ho ho! I love you Santa! And noise. Oh the noise. Noise, noise noise! (He becomes crazier while he listens to the choir making celebratory noises). And the singing! Oh how I hate the singing. Singing, singing and more singing. SANTA: Yes it’s all about singing. (Switches to speaking in his natural voice.) Now seriously, amigo, stop this locura,…we are here to audition for our roles in this year’s Christmas play, verdad? GRINCH: Yes, amigo. Let’s do this. So you sing and I am your back up dancer, right? SANTA: I am ready. (They walk to front center stage. Grinch clears his throat.) Are you ready? (to audience) You said to prepare a song and a monologue. So we are ready to do our song. We heard that this year’s play is going to be bilingual, so we chose a song in Spanish. GRINCH: I hate them all equally (acting as Grinch, then switching to his regular voice). And yes, I am ready for the role of Grinch, if you would please choose me, I would appreciate it. Grazias por tu adoracion de mi. I am the best! He looks at himself in a little mirror, then walks to the microphone center front stage. CHOIR wakes up and circles GRINCH front stage. SANTA and GRINCH bow theatrically together many times at the end of song. GRINCH: So, how did we do? (wait for response) Whaaaaat?! We did not get the role?? SANTA: But we were Grinch and Grinchero last year!!! Oh please, please, can you give us the role? (He goes into the audience begging, then goes to exit through the front door to the theater.) There will be NO PRESENTS this year, I tell you all!!! GRINCH: (following Santa towards the front door exit madly) I agree. No presents. Nada. Nil. Nista. Niente. Ho ho ho ho. He he he he. Iris and Ix-Chel, the two sisters move center stage while the choir is quietly resting (sleeping) around the table and around the Christmas tree in the background. IX-CHEL: “What’s wrong with you? You act like a hammer, not Hamlet. Hahaha. Besides, why did you pick a male monologue for the audition? IRIS: “Stop making fun of me big sis. I asked Ms. K and she said it’s OK. There could be a female Hamlet, why not. So there. And what’s your monologue? IRIS: So what you gonna talk about? About how our Momma died?! About visiting Dad in jail every month?! About how it hurts to live with just Abuela here in the big city… And about her gambling habit?! And how poor we are. And how we won’t get any presents this year?! IRIS joins her : Che bella cosa na jurnata 'e sole. She continues but in a mocking way: nanana. IRIS: Yes Ix-Chel, I get it… I will try. Ms. K was helping me write and original song too. So yes, I appreciate your support. I need your support. And now I want to support you. You ready to audition? Talk: Dear Santa, it’s hard for me to even write this letter cause my fingers are frozen! Sing: I used to live out there, where the north winds blow, I wore ten layers, what a fashion in the snow. Inside our house, I was always freezing, I wore my coat inside just sneezing and weezing. Oh how I dreamed of a sunny day, my Christmas was so freezing cold and grey, I’d pray for a summer day, dreaming of Christmas in the southern sun. Talk: I play the piano to try to warm my fingers, but it’s not working cause I’m frozen to the bone, and you need warm feelings to make music, You know all about that, Santa. So this Christmas I’m not asking for toys like usual, this Christmas I’m asking to have Christmas in the sun! Sing: Oh how I dreamed of a summer day, flip flops and cold drinks, sailing through the bays, I knew that some day soon, Christmas will come, with the southern sun. Talk: Santa, please take me down south where it’s warm, so I can swim with the dolphins and sit under a coconut tree, please take me there and I’ll be the best ever, you’ll be so proud of me! CHOIR moves toward the front stage surrounding IRIS in the center front. Instrumental. Choir and audience are trying to clap the rhythm. Iris gives them a sign to stop. Today is a brand new day, it is a brand new day, today is a brand new day but trouble is here to stay, but trouble is here to stay. We’re only quarrelling, we’re only quarrelling, we’re only fighting on and on. We’re only quarrelling, we’re only quarrelling, why can’t we just get along. Instrumental verse (longest) CHOIR dances walking and forming letter “A” behind Iris. More movements can be added here at the last Chorus. CHOIR now goes back to their table to relax. The two sisters go to the Christmas tree. IX-CHEL: Great song sis! (excitedly) I think you should enter it in that Radio contest for best original song this year on BRBK 101. IRIS: Ok Ok, I’ll do it, I promise. First thing tomorrow morning! I believe in myself! IX-CHEL and IRIS lock hands and scream in unison: “Girl power!” They decorate the Christmas tree. 6 CHRISTMAS NOW (Loreta Kovacic, YouTube) IRIS sings. Christmas, Christmas, what about Christmas? Christmas, Christmas, I want it now. Presents are here and Christmas cheer, why should I wait all the way till Christmas day, oooo, it seems so far away…to open my presents so shiny and bright, I’d open them now and have so much fun! Who knows what tomorrow will bring? Hurricane or maybe big wind?! Christmas, Christmas I want it now. Set is abuelita’s kitchen in Isla Mujeres. Kitchen table is in the middle with tortilla machine and dishes, all decorated with bright Mexican colors. Small Christmas tree is in the corner. There is an “imaginary front door” center stage. Abuelita is Santa from Act 1, it is a male dressed as a female, speaking in female voice. She is funny, nice and she loves teaching her grandchildren about her culture. Two girls are helping her cook molotes. IX-CHEL: “Yes Abuelita. This tortilla machine is really wicked. Ahhhhhhh. They continue making tortillas while abuelita sings “Oh Sole mio” She can just hum the melody or she can sing it in Italian for more comedic effect. In the middle of Abuelita’s singing, Choir comes from the front Theater door, down the side isle, singing “LA GUADALUPANA”. They are dressed in traditional Mexican Costumes. They carry a big poster of “Virgen de Guadalupe”. CHOIR sings with small percussion instruments in their hands, walking in a procession towards the side steps to the stage, stopping in front of “Imaginary door”. Abuelita and two sisters come to the door to greet hem and listen to them. Desde el cielo una Hermosa manana. Desde el cielo una Hermosa manana. La guadalupana, la guadalupana, la guadalupana Bajo al tepeyac. Suplicante juntaba sus manos. Suplicante juntaba sus manos. Y era Mexicana, y era Mexicana, y era Mexicana Su porte y su faz. IX-CHEL: “Where are all these people going Abuelita? The Choir procession quietly goes out the front door, the same way they came in. Actors can wait until they exit. ABUELITA: “To church, mi querida. They are going to get the blessing from the Virgen, one of the most powerful national symbols of Mexico. Our Lady of Guadalupe. She helps the poor, she protects the sick and powerless, she brings voice to us women….and much more. Y mucho mas. GRINCHERO: “Hey primos, long time no see… Glad you’re here. Iris, congrats on winning that song contest and getting you both here to us. Bienvenidos a Mexico. Bienvenidos a Isla Mujeres. Welcome to paradise guys. IX-CHEL: “Grazias primo. I have wanted to come back here for so long. Little sister is awesome. She looks at her phone. GRINCHERO: “Don’t worry prima…ignore it. Let’s go to the beach. There is an Aztec party on the beach today. It’s right next to the temple. IX-CHEL: “I did, Iris….it’s OK. But I didn’t know about the temple…” She is looking at her phone again. IX-CHEL: “Sure we will help you.” They start doing his makeup together. Abuelita joins them. She starts doing makeup on herself. ABUELITA: “Sometimes, when I feel very special, I get into a Santa costume and go help Grinchero on the beach. I think I am going with you today. It’s one of those days.” She starts to change her costume into SANTA. Her voice changes to a deeper Santa voice. “Ho ho ho ho.” She sings and dances: “Ho ho ho ho, Ho ho ho ho, Dancing Calipso.” Iris joins the fun. Dances with Abuelita. IRIS: “I want to have a date with an Elf. Down by the beach in the hot hot sun, December sure is lots of fun! Here is my brand new song, muchachos!” She sings, dancing around the Christmas tree, while Ix-Chel and Abuelita are doing makeup on Grinchero. Ho ho ho ho , Ho ho ho ho, dancing calypso, dancing calypso. Ho ho ho ho, Ho ho ho ho, dancing calypso, dancing calypso….dancing calypso, dancing calypso. Oh, sunshine, I had calypso date. I had a date with a rain deer I had a date with elf. Guess what I wrote to Santa dear: I want a date, I want a date! I had a date. I had a date, I had calypso date, I had a date I had a date, I had calypso date. CHORUS: All can sing on the second chorus. Change of scene to Beach during Chorus. Stage has Mexican Aztec Temple backdrop and/or a statue of the goddess, Ix-Chel. Few Choir members are lounging on the beach and chatting dressed in their summer clothes or in bathing suits. They are on their beach towels front Stage Left and Right. Audience is part of the beach scene. Colorful beach umbrella or any other beach prop can be added to the scene. Grinchero and Santa are in full costume with candy trays hung around their necks. Santa and Grinchero sell a few candies to the Choir members first. Choir pays them real money-5 dollar bills. After this they go into the audience to sell. They are the two excited great salesmen. The two sisters go out to help them. GRINCHERO: “Mira. I am in my winter underwear, which is my bathing suit. This is CHRISTMAS IN THE SUN! And noone, absolutamente nadie, absolutely none has better candy then us here.” GRINCHERO goes to sing and dance center front stage while the rest of the team continues to sell candy during the song. Sleigh bells ring are you listening, in the sun sea is glistening. A beautiful sight we’re happy tonight walking in the winter underwear. Gone away is the blue boat, here to stay is the new boat, we’re singing a song as we go along, walking in the winter underwear. CHOIR LEADER asks the audience to join here. SANTA, GRINCERO and the two SISTERS sit on the towels center stage. They are looking at the money that they made, trying to count it, but they are distracted. They look into the audience. The ocean is there. Santa takes some of the costume off to become Abuelita again, speaking in the female voice. IX-CHEL: Pura vida! It’s all good! Chill out. Let us all relax and be happy! The new meaning of Christmas! GRINCHERO: “Guys, our Aztec Dancers are coming! This will be a Holiday beach dance dedicated to our Goddess Ix-Chel. They dance in the circle while the Goddess and her abusive husband re-enact the time when Ix-Chel breaks free from the oppression.” They all stand up. They clear the stage for the dancers. They go to sit on the front side stage or in the audience. Aztec dancers come to perform the very simple Aztec dance in the half circle: Two steps to the right, back to the middle, two steps to the left, back to the middle, touch the floor, hands above the head. Repeat. They are in full costume with rattles “ayoyotes” in their hands and/or on their legs. This dance can be choreographed by the students or learned from any Aztec Dance on YouTube. Ix-Chel and her husband are in the middle, performing an emotional dance of her standing up to his oppression and breaking free. This part of the dance is more acting then dancing. Ix-Chel costume includes her jaguar ears and her husband has a head peace that represents the King. At the end of the dance he sits in a thinking position, resembling a famous sculpture by Roden, “the thinker”, with one elbow on the knee. Ix-Chel dances her freedom dance outside of the circle, then going through the audience towards the front door to the Theater. 1 Table: Christmas table in Act 1 and Mexican kitchen table in Act 2 Scene 3. 2 A Christmas tree with some fake gifts under it. 3 Grinch and Santa costume with makeup for Grinch. Santa has Abuelita clothes underneath. Grinch has beach clothes underneath. 5 Choir costume: regular school clothes for Act 1, Traditional Mexican colorful costumes in Scene 3, Beach clothes for Scene 4, and Aztec dance costumes at the end. Aztec dance can be a different group of students from a Dance Class. 7 Big poster of Our Lady of Guadalupe mounted on a stick to be carried in a procession. 9 Beach towels and a beach umbrella or another beach prop. 10 Mexican and other candy for sale. Boxes to hold the candy. 11 Christmas scene backdrop for Act 1, if available. Projected cost on Amazon is $ 420. This can be greatly reduced. Many production items could be donated by parents and teachers: tortilla machine, Mexican and Christmas tablecloths, the Goddess sculpture, Mexican and other candy, etc. Some items might be a part of School’s inventory (such as Christmas tree and Santa costume?) Bilingual schools might already have Mexican traditional costumes and Aztec dancers in their Folkloric program after school. Students can make many items in class: Big poster of Our Lady of Guadalupe, fake Christmas gift boxes, Candy holding boxes, etc. CYCLOPS DANCE is the third song on "Brother Tadpole classics" a Grammy nominated album.